This has to be the best Chinese food in the area. The egg roll was flaky and had whole baby shrimps in it! The hot and sour soup was rich and flavorful; probably the best I have ever had. The Kung Pao Chicken in Chengdu-Style was different from any Kung Pao Chicken I've ever had; rather hot but not punishing. The portions were very good for the price. I will definitely order from them again and maybe try something new--the menu is huge! Rarely do I write reviews however I felt the need to let this restaurant know how impressed I was. I usually don't judge take out too harshly because it's never a great representation of what a restaurant does however my food arrived on time, very hot, and was very good. Definitely vaulted to the top of my list for takeout. It was the flood of 2016. We ordered thinking the storm would be over in a few minutes, but it went on an on. They called to let us know they were running late - I was amazed they were even going to attempt the trip. The food was late, but by God....they made it. And it was spectacular. General Tso's chicken was excellent. A little on the spicier side, which I definitely appreciated. The peppers in the sauce were a really nice touch. 2 negatives: they were stingy with the broccoli (I think I got 1 floret) and the fried rice was too salty. Excellent meal, exactly what I was hoping for. Driver was friendly and patient as I had to descend several flights of stairs to get to him. Hot food was hot, bubble tea was cold, and everything was delicious! Solid Chinese food. Fast and tasty. Chengdu Gourmet, the creation of Executive Chef Wei Zhu. 32 years specializing in Sichuan cuisine. Founder of Sichuan Gourmet and China Star. 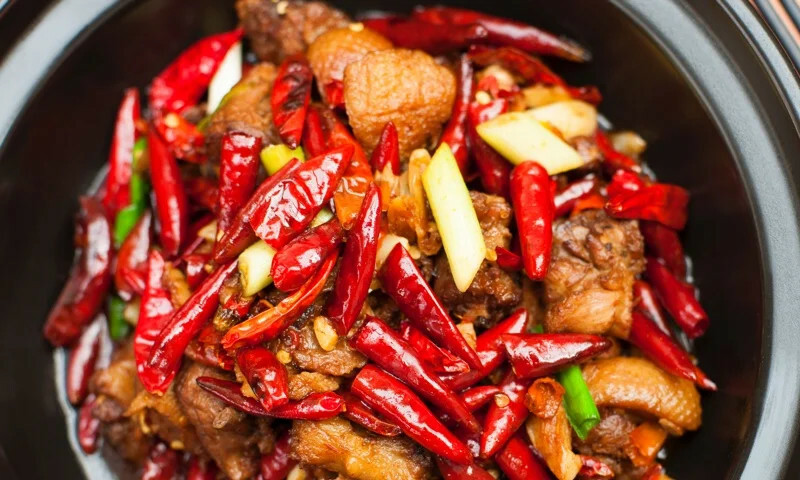 Whether you're craving a quick bite or looking to treat yourself to a delicious meal, you can now order your Chengdu Gourmet favorites for takeout or delivery.